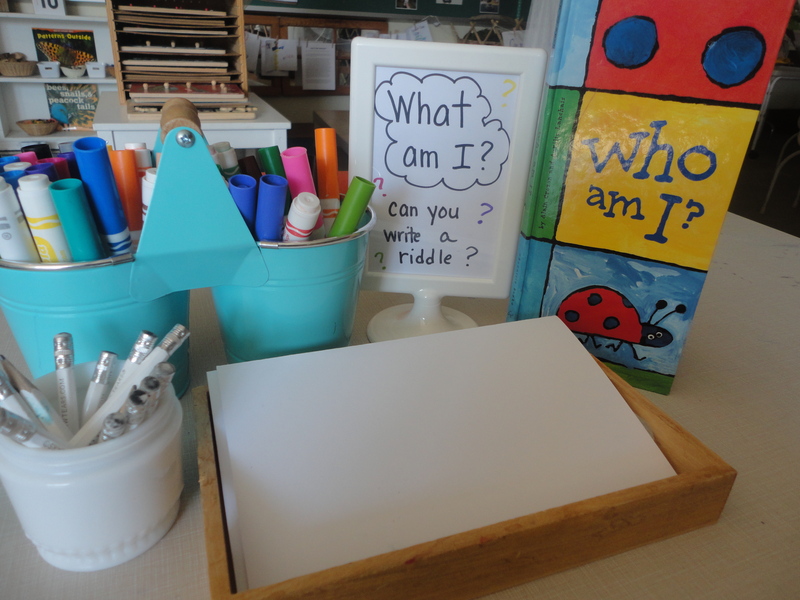 Last week at the writing centre we created a riddle-writing provocation for the children. The idea came from our last “show and tell” idea which was “Secret in a Bag.” Each night, one student took home our “secret in a bag” bag and chose an item to put inside. Then, they thought about three clues that would describe their object. 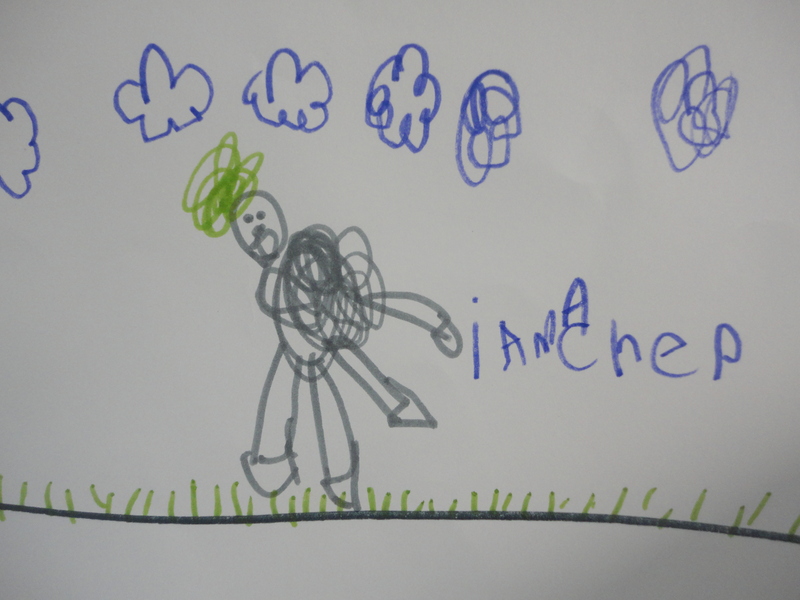 The next day, they returned the bag to school, shared their clues (most students wrote them down on paper and read them aloud) and we all had a go at trying to guess what the object was. When we guessed (or didn’t, as was sometimes the case for some tricky items!) 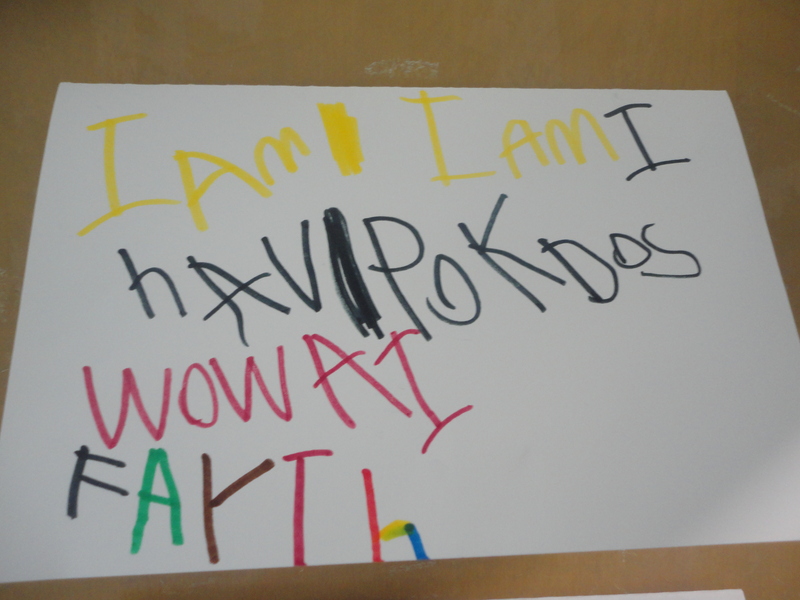 the student was able to talk about what they had brought and we asked questions about it. 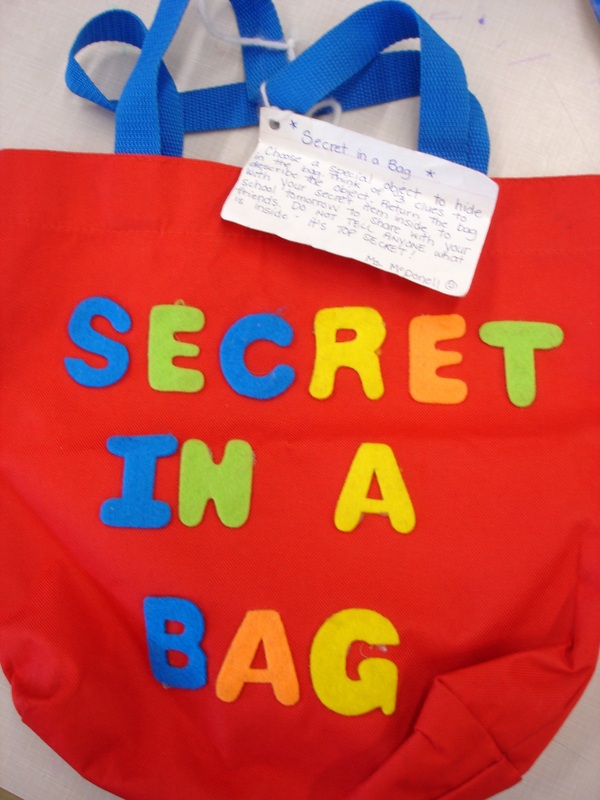 The children absolutely LOVED “Secret in a Bag” and looked forward to figuring out each others’ riddles each day. Because of the success of “Secret in a Bag,” we decided to encourage the children’s interest in clue-writing by creating an opportunity for them to write riddles at the writing centre. 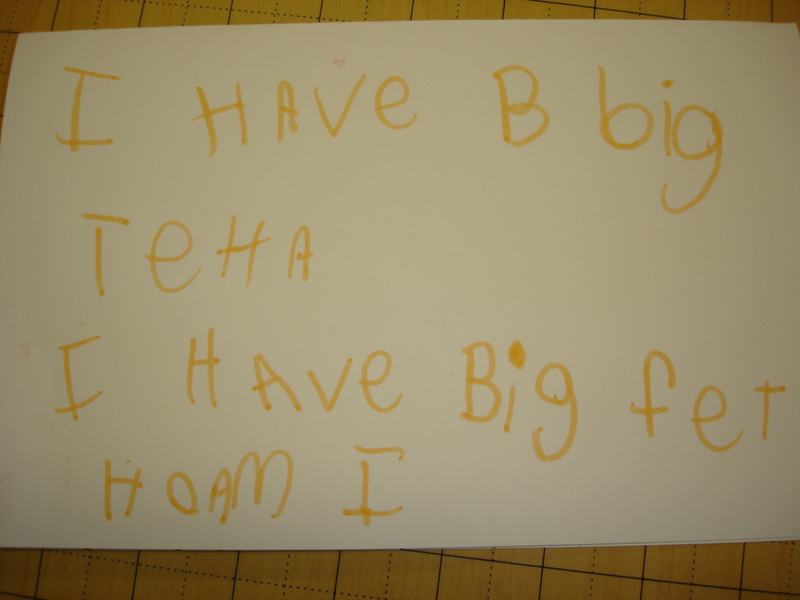 Along with a question (the back of which contained some sentence starters such as “I am…” “I can…” “I have…” and “I like…”) we placed folded card stock and markers at the table. The children were encouraged to write their clues on the top flap and draw a picture of the answer to their riddle inside the fold. This centre was a huge success! 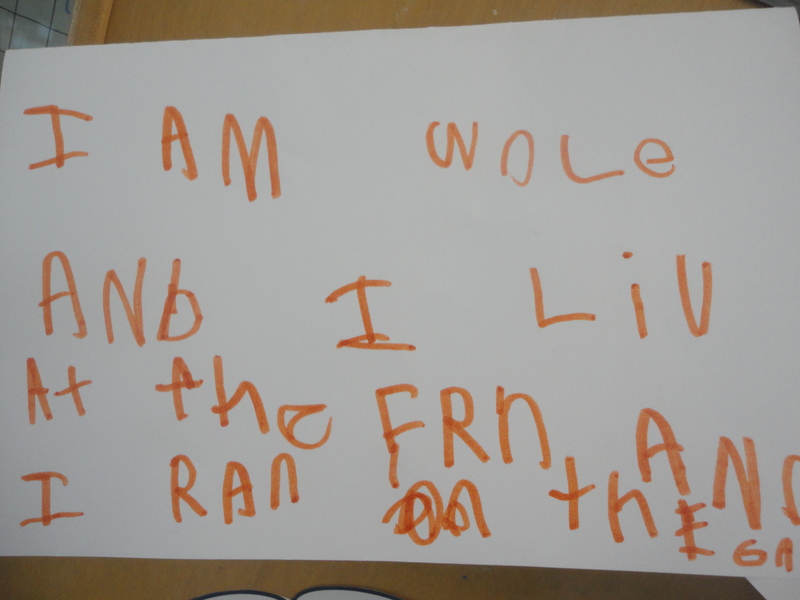 We are in our second week of riddle writing now and the children aren’t slowing down! 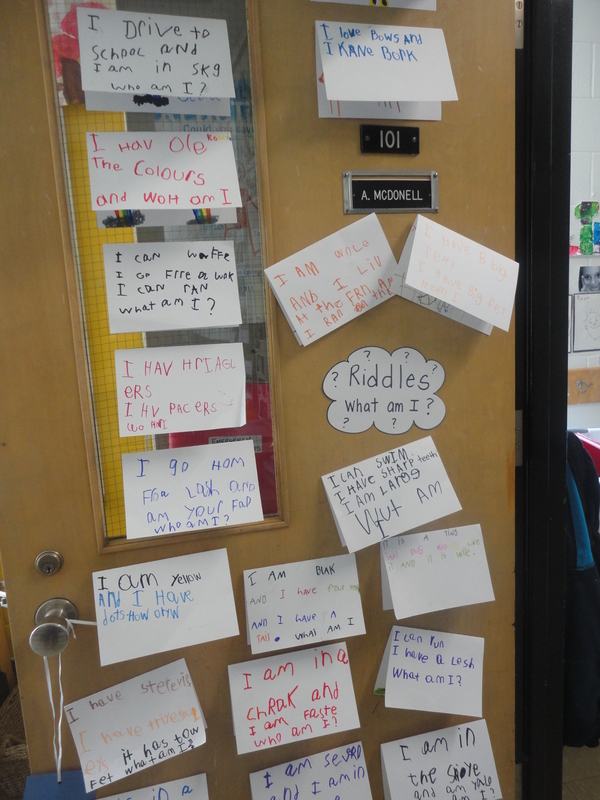 We’ve posted some of the riddles on our classroom door for passers-by to enjoy and the children also excitedly take their riddles home to try and stump their families! 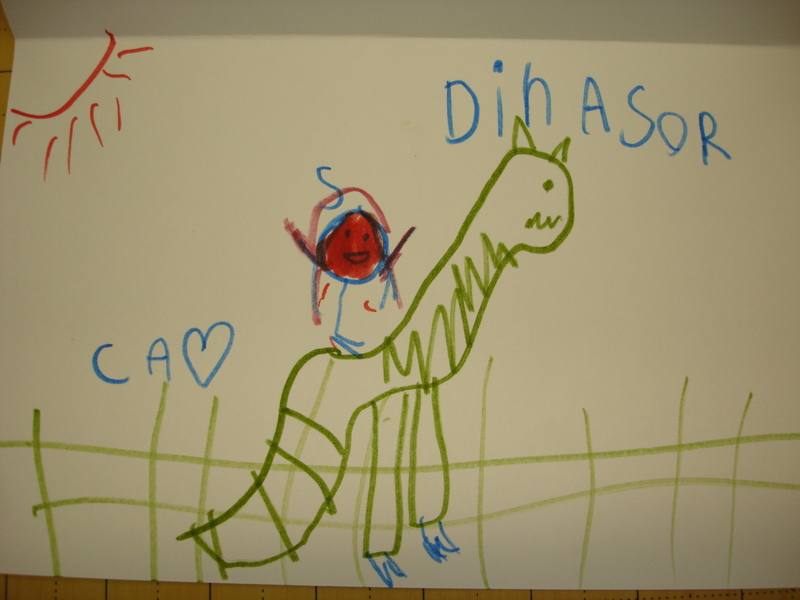 This entry was posted in Writing in Kindergarten and tagged inspiring young authors kindergarten, riddles in kindergarten, show and tell, writing centre activities, writing clues in kindergarten by msmcdonell. Bookmark the permalink. Beautiful work here! 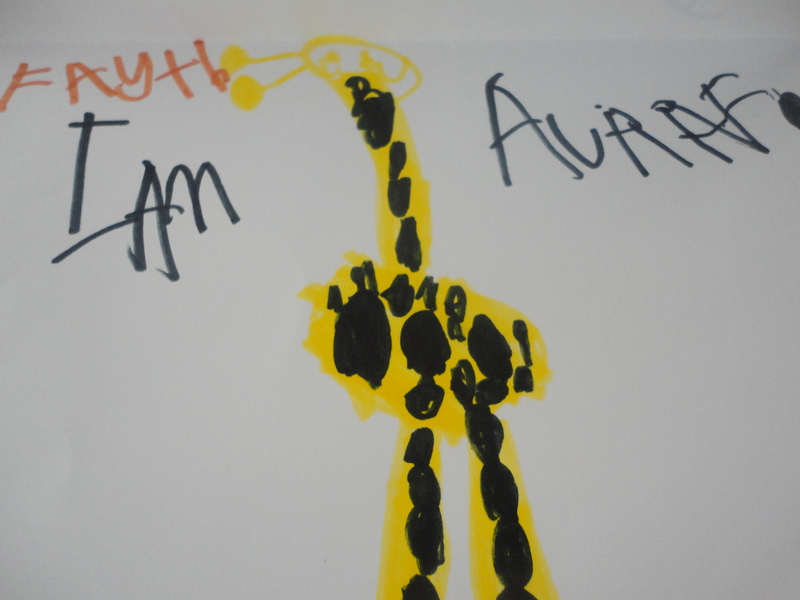 The handwritten clues look like they are written with total excitement and engagement. What a great project. Excellent idea. I will definitely try with my little friends. Thanks a lot. Is that a book in the picture? Yes. It’s called “Who Am I?” by Alain Crozon.